When we talk about saving or investing, most often we focus on money, the returns we get and what we want to do with it once we hit our target. Everything mostly discussed that has to do with saving or investing is material in nature. But there are some intangible benefits when we regularly save and invest. These benefits will not be seen in the returns or end value of our money, but they can add value to the quality of our lives. Start the habit of saving and investing. Do it for the next six months and see if you get to experience these things. Why do people spend money that’s not theirs and get in debt? Why do people want to buy things and showcase them through Facebook or Instagram? For some, buying material things can be their way of uplifting their confidence. The more material things they showcase, the more confidence they can project. Unfortunately for some, behind those new gadgets, new clothes or a new car, is an empty bank account. Saving can give one a level of confidence that is real. If you have started saving and have not felt that yet, just continue doing it. You will notice that your confidence tends to grow along with the size of your bank account. Saving and investing can give you peace of mind. Have you ever worried about how you could fund your hospital bills if you got sick? Or maybe, was there a time your family was in dire need of money and you didn’t have any? Well, saving minimizes your worry about these situations. Knowing that you have saved and are continuing to do so gives you that peace of mind from the fact you are doing your part in making sure you are financially capable of tackling these emergency situations. Saving and investing give you a sense of fulfillment. Some may argue that spending all their money can also give them fulfillment. Well, true. But spending is easy. And there’s really no sense of responsibility attached to spending. Saving, on the other hand, involves some hard work. It’s a long and tedious process that makes you give up certain immediate desires. That is why being able to do so gives you more fulfillment in the long term than spending for the moment. Saving and investing empower you over money. So who runs your life? Is it your money controlling you or are you in control of your money? In case you are not sure, a quick test is how you order your food at a restaurant, are you checking the price first or checking what looks good first without worrying about the price? Being able to save can allow you freedom to control the life you want to live. You don’t have to worry about living paycheck to paycheck because you are in control of your finances and how you want to use them. At the same time, knowing that you have savings allows you to create the future you see for yourself. If you feel you have not experienced any of the benefits above, it’s either you are saving but not content with your savings or you are not saving at all. My challenge to you this 2017 is to give it a shot and see how the quality of your life can improve. 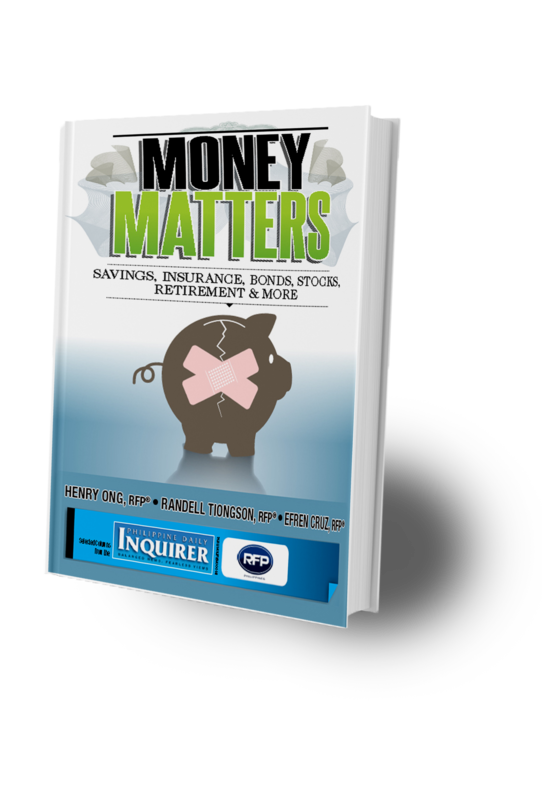 Jeremy Jessley Tan is Registered Financial Planner of RFP Philippines. Learn more about personal financial planning, attend the 59th RFP program this Jan 28. To register, e-mail info@rfp.ph or text <name><e-mail><RFP> at 0917-9689774.